“[Italo] Calvino explores the idea that all great literature exhibits the qualities of Quickness, Lightness, Exactitude, Visibility and Multiplicity. All these qualities inhered in perfect measure in Rachael King’s novel The Sound of Butterflies. The story of traumatised lepidopterist Thomas Edgar had such a quiet and unsettling power that I found myself dreaming of the Amazon for weeks after finishing the book.” Eleanor Catton, author of The Luminaries and The Rehearsal, in The New Zealand Listener ‘Books of the Year’, December 2008. 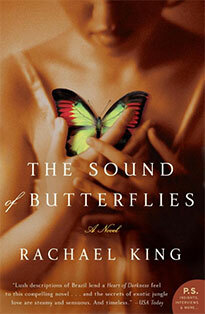 “The Sound of Butterflies is engaging and tremendously well-imagined [and] …a ripping yarn. 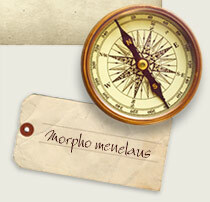 A natural-born writer, King’s prose flows as strongly as the Amazon, rich with easy lyricism…. This is a complete meal of a novel, ambitious and well planned.” The Australian Literary Review, October 2008. “Rachael King has written a talented debut. Her narrative skills are strong, as are her captivating descriptions of the city of Manaus and its environs.” The Age, August 2008. “With her first novel, Rachael King proves herself one of our most promising writers. Her intelligent gaze snags on quirky details of personality or place or on mostly forgotten history, and spins captivating and provocative stories from them.” Next Magazine, July 2006.